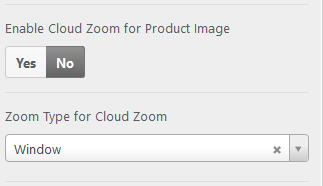 After I disable the Cloud Zoom function “Enable Cloud Zoom for Product Image” you see 3 pictures, if you click on the 2nd picture doesn’t show on the grid but just open the picture in a new page. You know why? If I enable this function the picture opens well on the grid. I attached the screenshot of the function.